ESP32S Wifi Bluetooth combo module is ultra performance that is high ultra low-power consumption Wi-Fi and Bluetooth wireless platform based on ESPRESSIF ESP32 chipset. 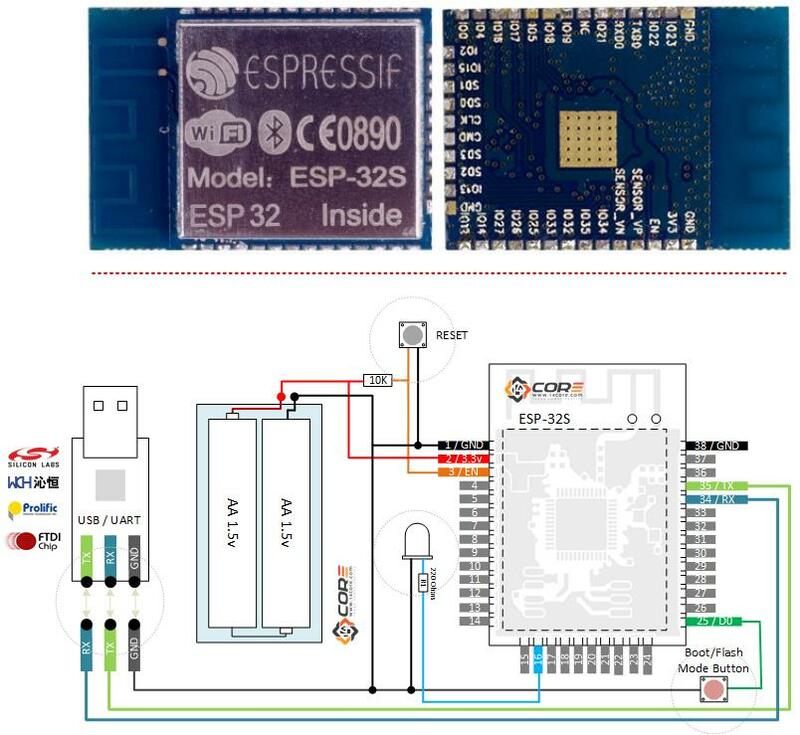 ESP-32S dual-core 448 KByte ROM | 520 KByte SRAM | 16 KByte SRAM in RTC | 802.11 b/g/n/e/I Wi-Fi | Bluetooth v4.2 BR | EDR & BLE | clocks & Times |peripheral Interfaces and security mechanism. ESP32 is a chip that is single GHz Wi-Fi and Bluetooth combo chip designed with TSMC ultra low power 40 nm technology. It is designed and optimized for the power performance that is best, RF performance, robustness, versatility, features and reliability, for a wide variety of applications, and different power profiles. ESP32 is the most solution that is integrated Wi-Fi + Bluetooth applications in the industry with less than 10 external components. ESP32 integrates the antenna switch, RF balun, power amplifier, low noise receive amplifier, filters, and power management modules. As such, the solution that is entire minimal Printed Circuit Board (PCB) area. ESP32 is designed for mobile, wearable electronics, and Internet of Things (IoT) applications. It has many features of the state-of-the-art low power chips, including fine resolution clock gating, power modes, and power scaling that is dynamic.